The rotation of crops in the same growing space over a span of a few years is an agriculture tactic dating back a thousand of years and has proven to be extremely healthy for the soil. That is because every plant requires specific ingredients in a different amount, which gets depleted from the ground after a while, leading to a decline in the health of the crops –this is where rotation of crops comes in. It involves the growth of a different set of plants every season in the same soil rather than the same ones, is an increasingly popular technique used by farmers for better plant health. Because every farm, garden bed or any plant-growing space comes with a different set of climatic conditions, soil fertility, and available farming nutrients, crop rotation has no fixed schedule. It is entirely dependent on the farmer and the kind of plants that they want to grow and keeps in mind the climatic conditions of the region. That includes the sunlight availability, average rainfall, and richness and fertility of the soil. There is also no restriction on the number of crops available for rotation; another factor that the farmer has complete control over. Plants give us a lot of advantages, but they come at a cost that may be bad for the Earth that they grow in long-term. That happens because every plant requires a different nutrient to produce and yield. Moreover, while some plants take up more carbon, others consume more oxygen. Point being, every plant has a different requirement, and that can take its toll on the soil. Crop rotation helps because avoid this loss because it involves systematic planning of what plant to grow in a particular soil and when. Making a schedule of the plant growth enables the soil to recover from a particular nutrient depletion, and does not add the immense burden of one nutrient provision upon it. That increases the long-term yield, disrupts the growing pests and weeds, allows for a more stable soil structure, reduces the fallow-field time, diminishes the use of pesticides and cuts down the greenhouse gas emission levels. Crop rotation as an agricultural technique has been traced to the year 6000 BC to the Middle Easterns, who themselves did not recognize the significance behind it. Long-term yield increases because the soil is rich in nutrients - which it needs to survive. 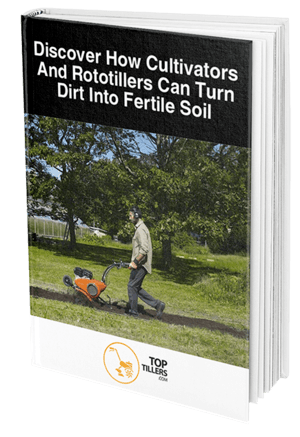 Rotation allows the utilization of different nutrients from the soil at various times as opposed to using up the entirety of just one nutrient. Switching up the crop sequence disrupts the pests that have made their home in the planting areas. Detaching the host crops from the soil hinders the cyclic growth of the insects that eventually prove to be harmful, thereby increasing the long-term soil fertility. Makes the soil less vulnerable to erosion because the fertilizer is rotating between being home to plants which have deep roots and the plants which do not. This alteration enhances water infiltration, which reduces soil erosion. Additionally, it leads to more stable soil structure. The season in which a particular plant cannot be naturally grown, for example, the summertime is the Fallowfield season for winter-grown crops, is very efficiently utilized by other crops. Consequentially, the soil always has something or the other growing on it as opposed to being left unattended and yielding no crops for a portion of the year. Owing to the disruption that crop rotation causes in the lifecycle of pests, fewer pesticides needed. That not only reduces plant-based pollution but also reduces water pollution as pesticides are notoriously mixed with running streams of water when used. Crop cover periods can be practiced more easily with crop rotations, allowing for an increased carbon uptake, which is highly crucial for the growth of plants. Additionally, it reduces the dependence on external fertility-increasing mechanisms because it has built its internal nutrient-recycling system. Because the fertilizers used in this process are very few, there are minimal greenhouse gas emissions from the manufacture and transportation of the fertilizers. 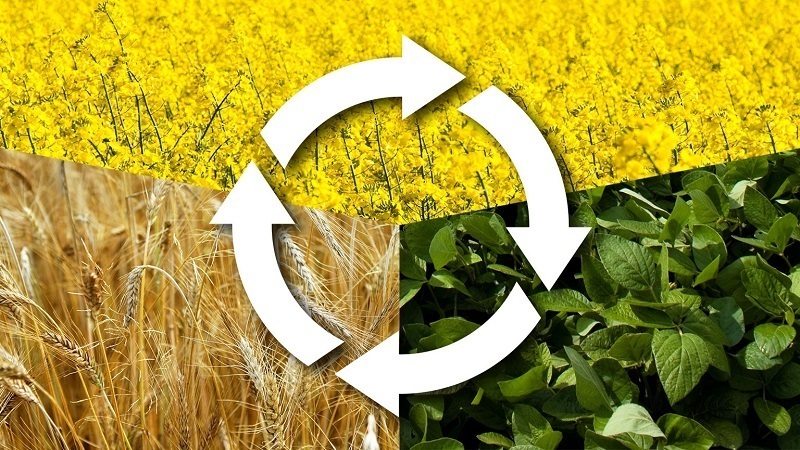 Crop rotation is different for every farming space and geographic region and farmers often have to customize the schedule according to the plants they have to grow and the climatic nature of the area. Here is a helpful guide to crop rotation, to make it easy for beginners as well. Legume plants - These include beans, peanuts, alfalfa, peas, chickpeas, and tamarind; which grow in ‘pockets.' Legumes fix nitrogen from the air into nitrogen compounds in the soil, which depletes nitrogen from the atmosphere. Additionally, they also require amounts of potassium, phosphorus, calcium, iron, and manganese. Root plants - These include onions, carrots, garlic, radishes, beets, and turnips; all of which grow underneath the soil. Mostly, they require nutrients that promote root growth; these are phosphorus and potassium. Other forms of root stimulation include B1 Vitamin and auxin plant hormones. Leaf plants - Lettuce, spinach, cabbage and various other greens categorized as leaf plants. These require a lot of nitrates to grow primarily but also utilize boron, chloride, iron, manganese, copper, and zinc. Fruit Plants - These include tomatoes, eggplants, melons, cucumbers, and tomatoes; all of which grow as stem outgrowths on their parent plants. Fruit-based plants require vast quantities of different sorts of minerals including phosphorous, nitrogen, calcium, manganese, iron and zinc. 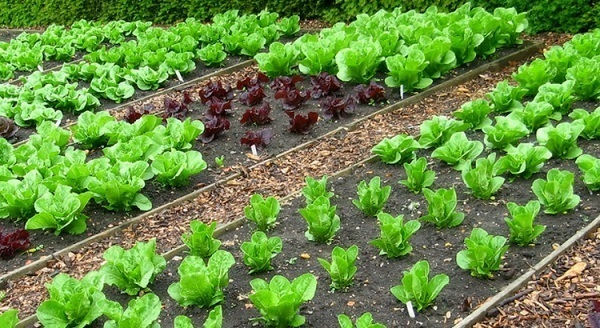 The Crop Rotation Technique: It is evident that crop rotation requires you not to place plants together that need the same kinds of nutrients to grow. You can do that by following the tactic mentioned underneath. Divide your plants and their seeds into the four categories mentioned above and classify a particular space in your garden for every class. For one year, plant all the plants in their assigned areas and let them grow the way they usually would. 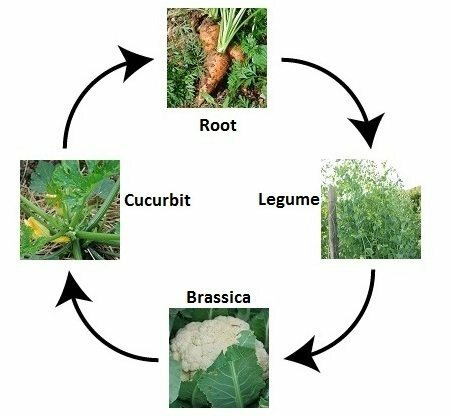 For example, legumes in Spot A, roots in Spot B, leaves in Spot C and fruits in Spot D.
So there you go – everything you need to know about crop rotation and how the methodology has helped advance agriculture.